In this story we asked a range of GoodGym members from across the UK what it's like to be a member of Taskforce. 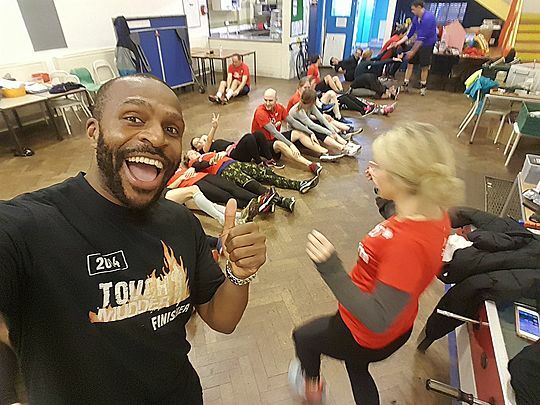 Being a member of GoodGym Taskforce allows you to support your Trainer, take on different roles at a Group Run and set up your own Community Missions. 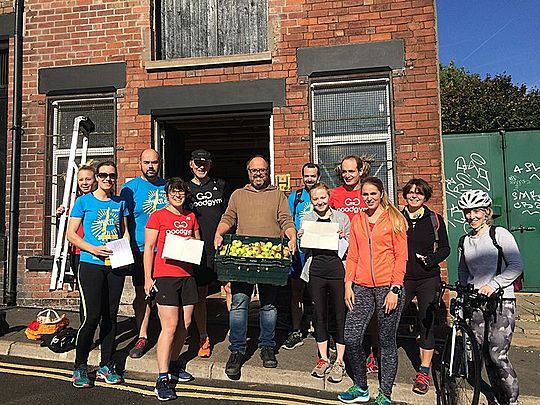 You receive a weekly email for GoodGym Central about any updates regarding tech, statistics and the winner of the photo of the week award! Why did you become a member of Taskforce? Joining Taskforce wasn't really a conscious thought for Peter in Redbridge, he started doing Group Runs in Hackney and naturally helping out. Now Peter is a one man Taskforce machine in Redbridge, sometimes writing reports, taking photos and using his LiRF qualification to lead runs when Trainer James is away. Kat has been a member of Taskforce from the beginning, just like Peter. Kat loves that she can get more actively involved in the process of organising and promoting GoodGym by being a member of Taskforce. Also from up north, Ellie in York was an active Group Run and Mission runner, then unfortunately her endometriosis symptoms came back quicker than anticipated and was unable to attend Group Runs. When Ellie is active her symptoms improve so she naturally turned to GoodGym to stay active. Missions became Ellie’s sole motivation to get out of the house, so to stop nagging Egg (York Trainer) to set up lots of Community Missions, Ellie became a member of Taskforce much to Eggs relief. 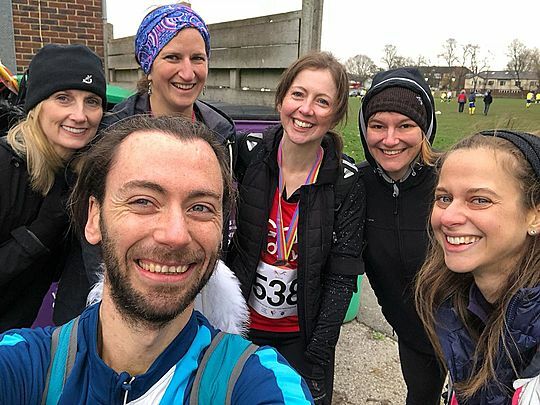 Giving back to the GoodGym community was a motivating element for Samia who can be spotted at the Kingston Upon Thames Group Run, she felt that she gained so much from being part of GoodGym that she wanted a way to give back. This echos Chi (Chima) who became a Taskforce member because he wanted to help ease the Run Leaders responsibilities and wanted to be more involved in the tasks. What does being part of Taskforce mean to you? 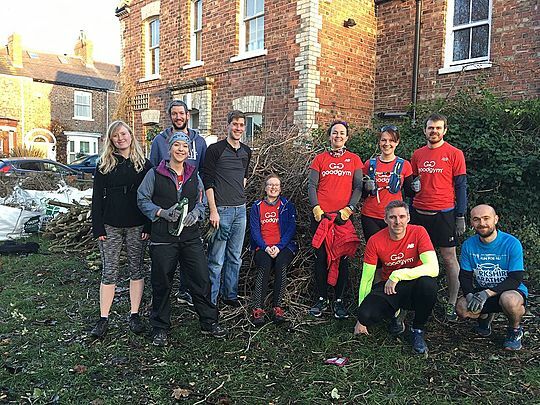 Ellie has been GoodGym York’s unofficial Walk Leader for around eight months which gives her the opportunity to support and encourage less fit or injured people to participate. It also allows her to convince as many people as possible to join GoodGym! Ellie also had to say ‘Taskforce is the best!’, so if that doesn’t convince you, maybe Peter's thoughts on Taskforce will. 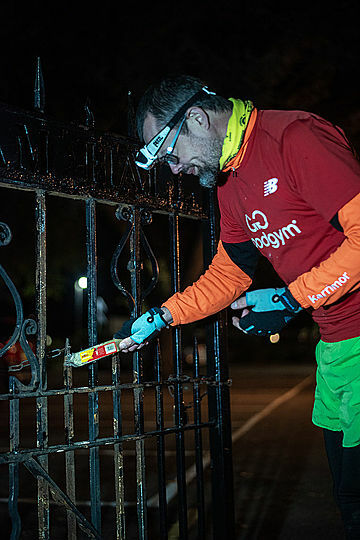 Peter was very adamant with what Taskforce meant to him, ‘It means doing my bit to help run GoodGym and help people with their goals’. By being in Taskforce you have access to everyone in your areas goals, whether that is running non stop for 15 minutes to running or a marathon. As Taskforce you can support them along this process. When asked what Taskforce meant to Samia, she stated that its given her the chance to help out her brilliant trainer Mark, with things you can easily take for granted. For instance, Samia takes it upon herself to make sure all new runners feel welcome, lists races and has set up some great Community Missions. Samia sets up Community Missions to help people who can’t make an evening group run. It’s also given Samia a greater sense of community ‘although she had already got that from GoodGym’. Taskforce has been a way for Samia to feel more connected with other runners and also her local community in general, ‘which is something that you can miss in London’. Photo from a Community Mission to help the YMCA, Samia is on the far right. Also from London but Islington based, James likes to backmark on runs, lead smaller groups if they split up for multiple task and book a table for their monthly social but most importantly according to James is the responsibility to bring the biscuits! What has been your favourite task that you have organised or helped organise? Chi who has just earnt his GoodGym wings, runs an abs on tour task during the a Group Run. This is a core blast session, so if you want to improve your stomach and back muscles head over to Haringey and you might earn your Tourism badge at the same time as a few abs. 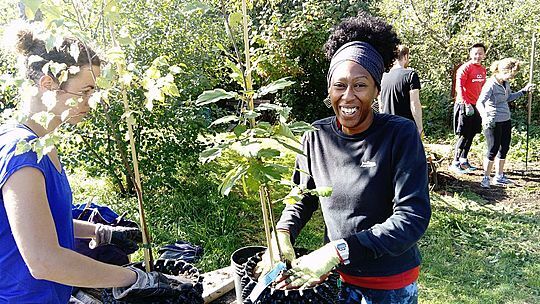 Peters favourite task is planting trees at Hackney Marshes, it's great to see all over Hackney Parks now have a little GoodGym history in them. So if you fancy planting some trees sign up for the Tree Musketeers on the 1st December and the community mission will count towards getting your limited edition winter 3-2-1 badge! James has recently led some Community Missions to help conservation charity CREOS. This has consisted of distributing a hue pile of woodchips and a free picnic afterwards. Whilst Samia has very fond memories of thistle pulling at a Community mission with The National Trust at Petersham Common. It was the first community mission that Samia and other members of Taskforce had set up. Richmond Group Runs often run though the common, so it was good to be able to help improve the environment that they enjoy running in. Ellie's favourite task was one she organised which happens to be very memorable. She arranged to help paint over a bridge along a cycle route. 'There was ice all over the bridge, yet we still tried to paint over graffiti with enamel paint to a questionable degree of success’. But when Ellie cycled past it a few days later and ‘it looked hideous!’ The ice had melted under the paint and the paint had half melted with it. Safe to say they had to go back later to (re)cover the graffiti and hide the evidence of their first attempt! Sheffield had a #DoubleCommunityMissionSunday organised by Kat. This consisted of supporting the Alexander Road Community Garden maintenance project in the morning, followed by some plogging along the streets of Sheffield. Then a quick cuppa before heading off to the ‘Team Apple Sort' to create a fruitful apple processing line to wash, sort and save apples from going to waste. Photo of the Apple sort for local cooperative Regather to use. 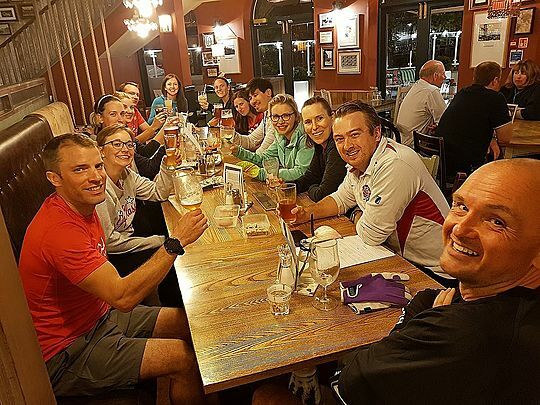 Is there anything special about your GoodGym area Taskforce? ’You know what they say: with great power comes great biscuit’’. Samia loves the community spirit in Kingston Upon Thames as ‘no task is too much for us as we all pull together and help each other out, so you always know that you’ve got support behind you’. Kingston Upon Thames launched this year, so the Taskforce is recently formed ‘but it feels like it has been going for years’ and already has a very good culture of post-community mission pub trips! Ellie says it’s a privilege to work alongside the ‘hilarious’ and ‘dedicated’ York Taskforce, whom of which had an ‘excellent role model for us all to follow’. Chi identifies as a GoodGym ‘nomad’ as he currently doesn’t have a home area anymore because his job consists of a lot of traveling but this has given him the opportunity to try out lots of London GoodGym groups. He has recognised that there is ‘great enthusiasm, a willingness to guide other runners and make them feel welcome’ from all of Taskforce. Peter would recommend becoming a member of Taskforce to anyone who wants a different challenge and wants to try report writing or test out their photography skills. 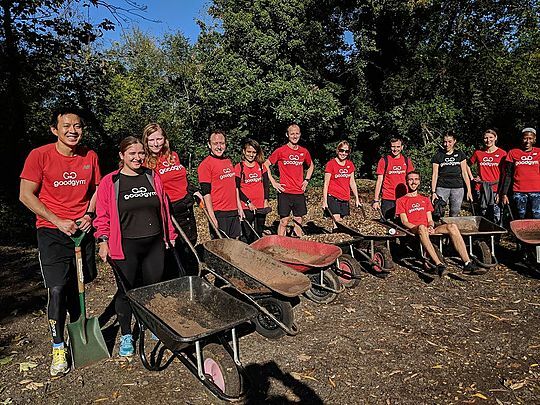 Samia says it’s such a brilliant way to be able to give back 'I was slightly worried that I wouldn’t manage the commitment, but it has that typical GoodGym team ethos, and has ended up being something that has meant that I now get even more than I did from GoodGym! What started as a way of me trying to give something back has been another bonus - typical GoodGym’. All you need to do to become a member of Taskforce is complete 10 Good Deeds and an online training which takes half an hour.